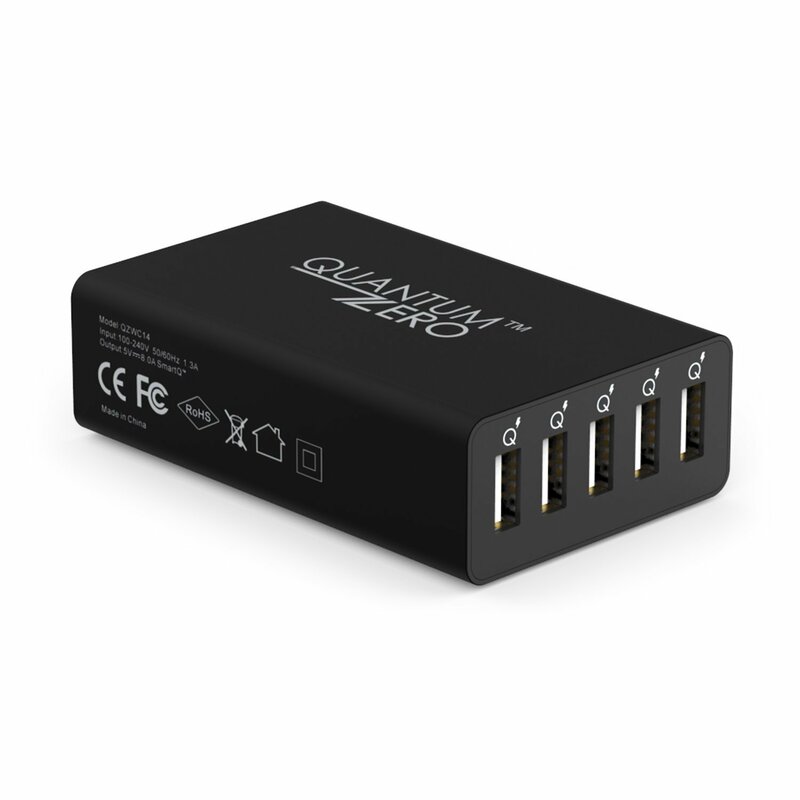 QuantumZERO SmartQ 5-Port Charger built with advanced SmartQ technology. It smartly detects devices connected, chose suitable current to charge at optimum speed. Consolidate all your USB wall charging needs. Smartphones, tablets, MP3 players or any 5V USB input device, leave your device specific chargers; rely on this charger. Perhaps this is a common charger for your entire family. Easy charging accessibility for all at once, at one place. We know you got multiple mobile devices, need easy charging accessibility for all at once, at one place. It is designed to do the exact same job. Henceforth no short of USB-outlets, no ‘device in waiting for charge’ or no vigil-keeping on charging at various places. Extends USB wall power right on to your desktop or possibly at your arm’s length. It is the ultimate desktop charging station, which is always within your reach. Packed with massive 40W power, 8A to share – enough to fill-in charge to 5 mobile devices simultaneously. Designed in the size of a deck of cards, it weighs only 134 g. Home, office or travel, just grab and go.